COIL is Level 3 Difficulty (i.e. quite difficult). It comes in a smart presentation box.These do not come with a solution. However if you visit the distributor website at http://www.eureka-puzzle.eu/eureka/index.php?/all-cast-puzzle-solutions.html and enter the complete barcode found on the box your puzzle came in, you will be able to access the solution. 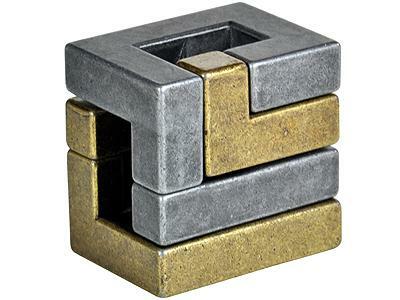 I looked up the solution to this puzzle but (even knowing what I'm supposed to do to get started) I can't get the interlocked pieces to move at all. It's not very well made.